My biggest goal for Sublimely Fit this year is to provide value to my readers and followers. I know there are a few people out there who see writing informational blog posts as selling out. I personally feel that providing value is perhaps the most important thing that I could do with my blog. If I have the chance to make someone’s life a little better, shouldn’t I take advantage of that chance? Sometimes someone explains an idea in a certain way that really resonates with you, and that idea may inspire you to make changes in your life. Maybe you just need a reminder to live your best life. Better yet, you may even reach someone who’s looking exactly for the information you’re providing, and you may be giving them exactly what they need. I’ve grown my readership and my number of followers over the past year, and I genuinely appreciate each and every one of you. So, it’s my promise to you in 2016 that I will work my hardest to give you the value you’re looking for and that, more importantly, you deserve. Bloggers: do you have blogging goals for 2016? 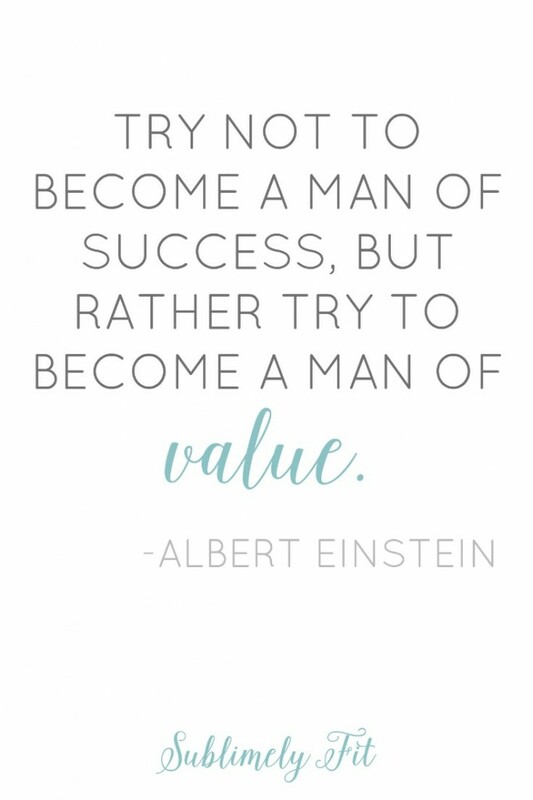 Do you try to provide value to the people around you? I never thought about informational posts as selling out. I learn a lot from my fellow bloggers! I think you need to do what feels right to you. Amen. That’s it, right at the core. Do what feels right for you. Love it! I don’t think informational posts as selling out. I appreciate helpful information but I do find I connect more and come back to blogs that share personal stuff too. Good point, Jen. I know I’ve been trying to sprinkle in a little more personal experience into posts lately. It’s something I also want to do more of in 2016. Great way to think about it! I also try to think of what is the value of this post to my readers. Are they walking away with something good today. I want them too! I think of selling out as selling out. Some bloggers run a TON of sponsored content. There’s no way they could use, let alone truly endorse, all those products and services. Adding your voice to the conversation is a good thing if you have something worthwhile to say — and you do! Thanks so much, Andrew! Really appreciate that, truly. I completely agree about only endorsing products that you’ve been able to spend time using. If you have a sponsored post every day, or just about, it’s tough to know exactly how much you’ve really gotten to know the product. Right there with ya! I spend most of my writing time putting together helpful posts and try not to spend a lot of time writing filler posts, just one or two a week at most. Good luck on your quest to provide value, Jess! Informational posts aren’t selling out! They’re just another style 🙂 You want to provide value, and those posts will do that! 🙂 I think of my blog like a journal of my life story, so I don’t post that kind of stuff. But the cool things is that are all sorts of different readers out there, and they will find what they want (and we will blog what we want, ha!). Yes, exactly! One way of blogging isn’t necessarily better or worse than the other, they’re just different. Love this idea, Kim! I don’t think of informational posts as selling out at all! I love your blog for the information that you provide and how well you explain it. The value – both in the short-term and long-term – that my blog provides to readers matters more than any analytics or success to me. Few things feel as great as hearing from a reader, even if just one, that a post made a difference for them. Thank you so much, Laura. Means a lot to hear an awesome blogger like you say that. I totally agree–some of my favorite memories from blogging are the times a reader has contacted me to tell me how a post or something I said helped them. It’s really the reason why I blog. Providing value is such a great goal, Beth!! In the end, I think that’s what will grow and keep your following 🙂 I’ve always appreciated the quality of the content that you put out, and I feel that it’s valuable to my fitness journey! Thanks, Jess! Honestly, the things that have touched me the most on my blogging journey were the emails and messages I received hearing about the success that a reader found after trying out something that I had shared on the blog or on social media. Knowing that I helped that person get closer to their goal is an amazing feeling. And best of luck to you with your goals! Check out the podcasts Amy Porterfield did last month about list building–I think you’ll find them really helpful! I love getting advice from fellow bloggers on how to grow my blog! I can’t wait to read your tips! Thanks, Kerri! Hope you found this helpful. I will say that there are many ways to grow your blog, and providing value is just one of them. 🙂 Best of luck to you as you work to meet that goal! We’ve talked about this several times–at the end of the day, this blog is yours. Make it what feels right to you. If that is information, then inform us greatly! Love this! Anything I choose to share on my blog is part what interests me and part what I think could benefit others. I think we all have a natural desire to be “of service”, and sharing informational posts or thoughts that might help others is part of that.